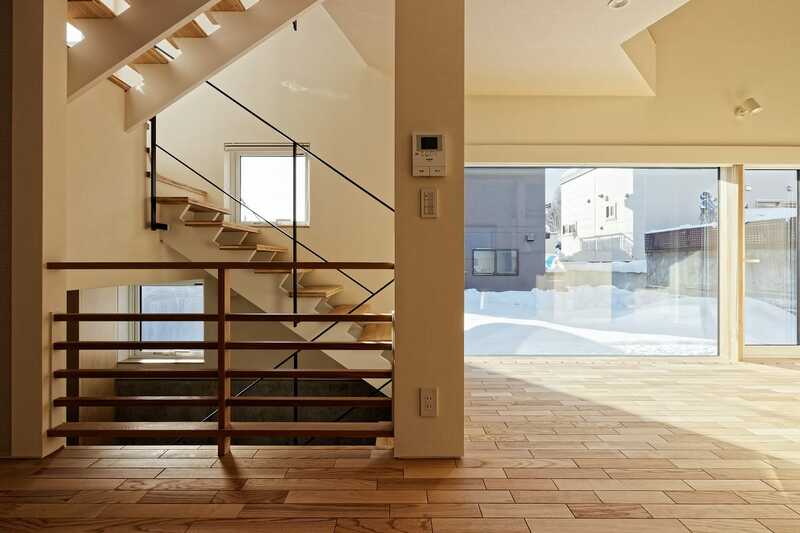 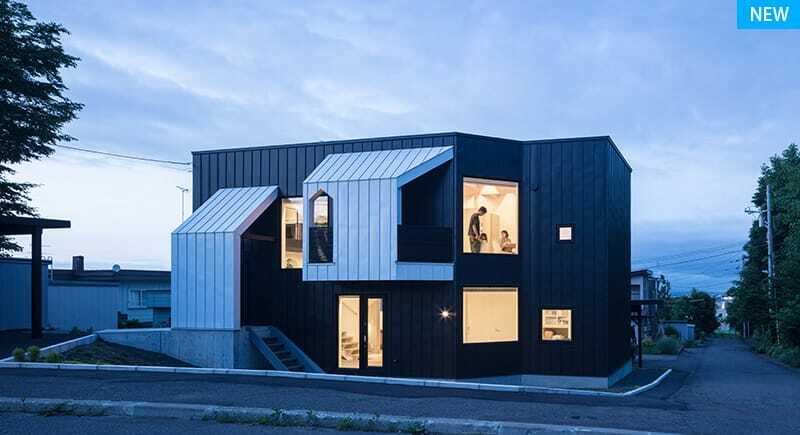 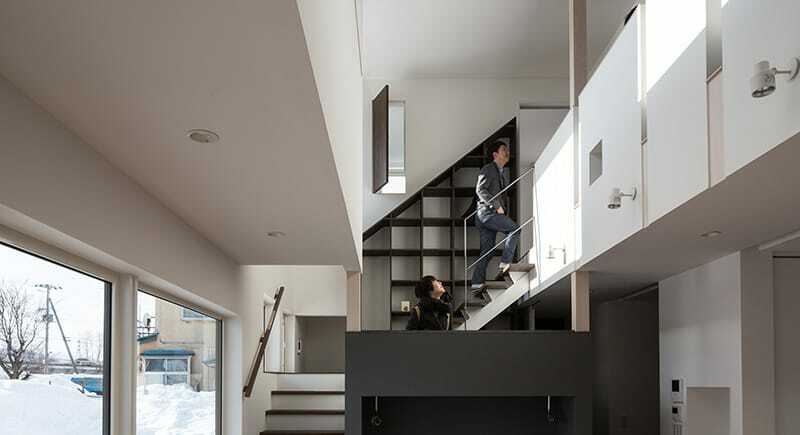 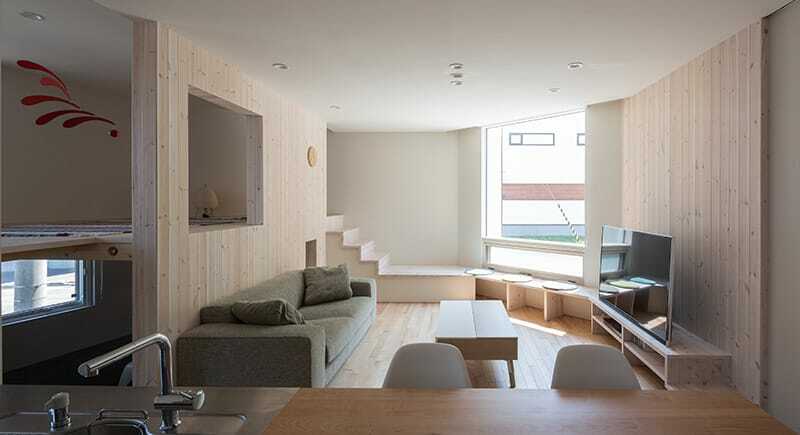 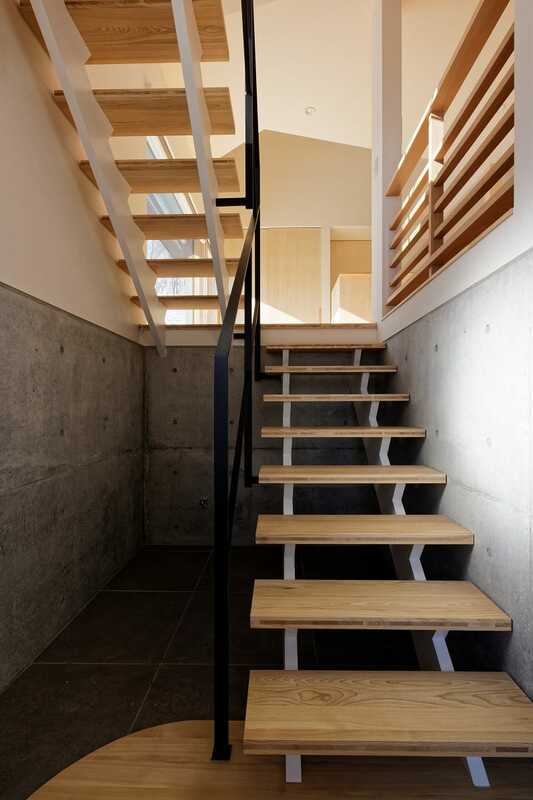 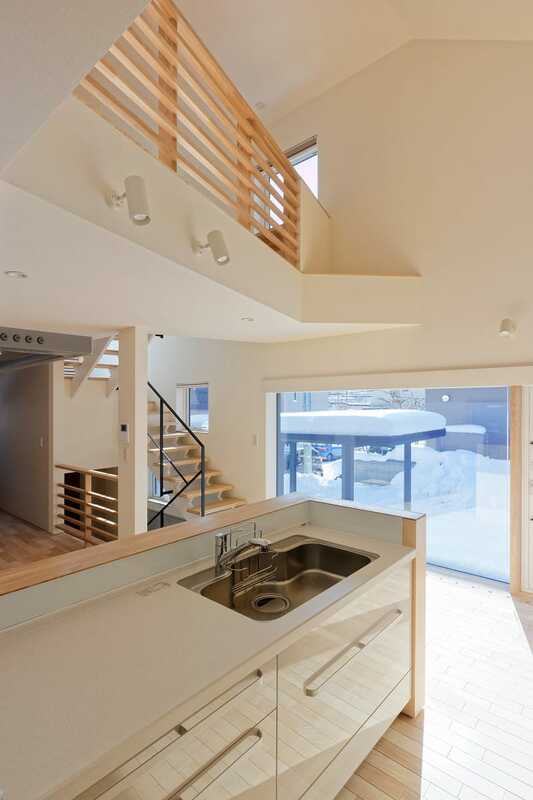 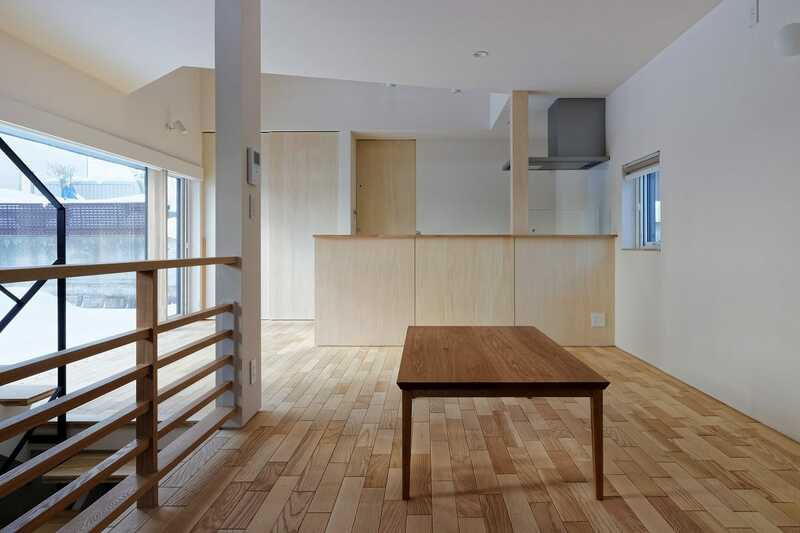 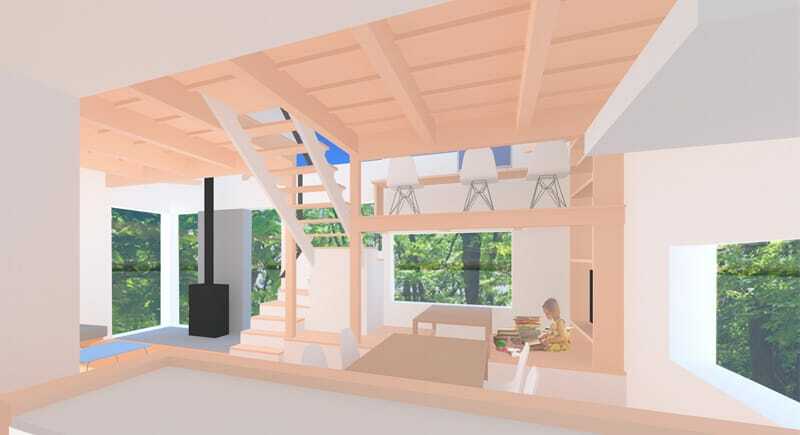 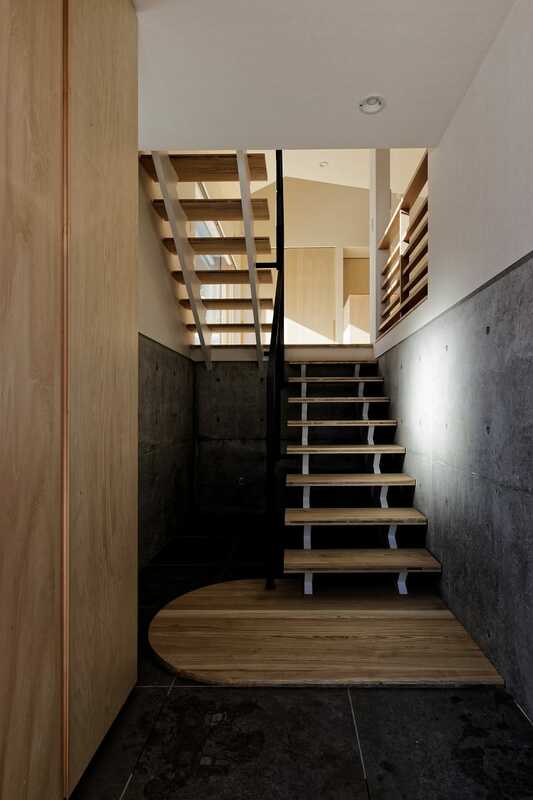 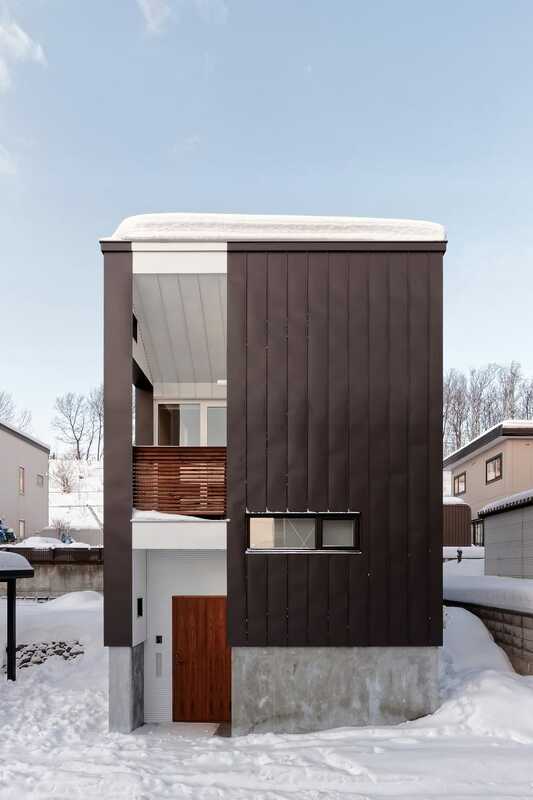 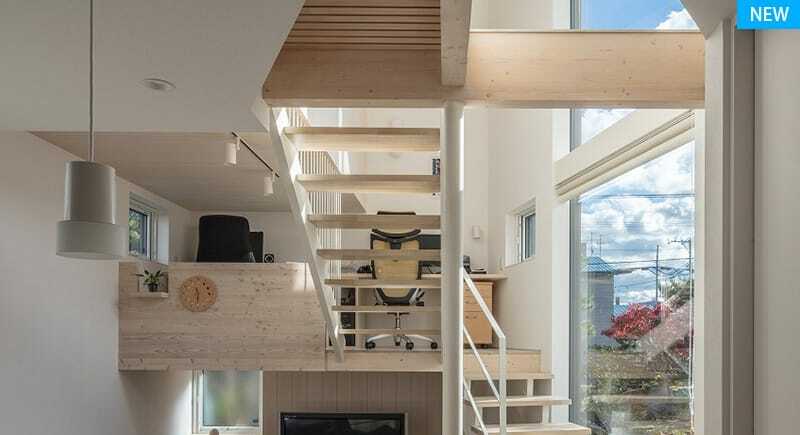 'House with Connecting Steps' is a minimalist residence located in Hokkaido, Japan. 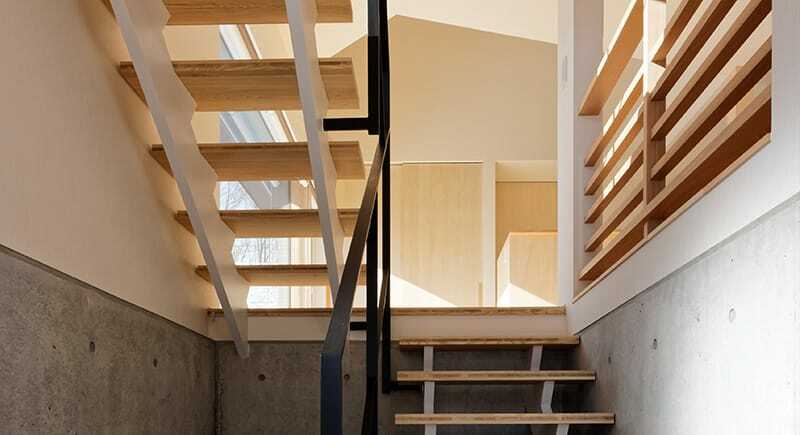 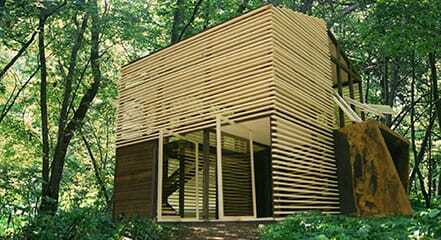 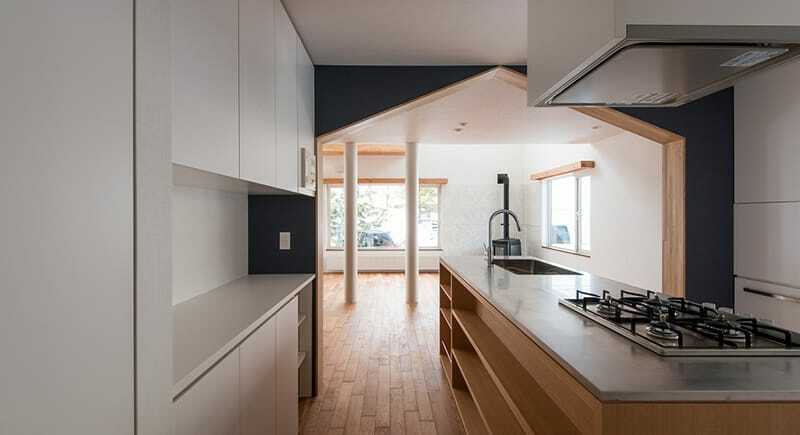 The home is situated on a compact sloping site with enough space for a garden and a parking area. 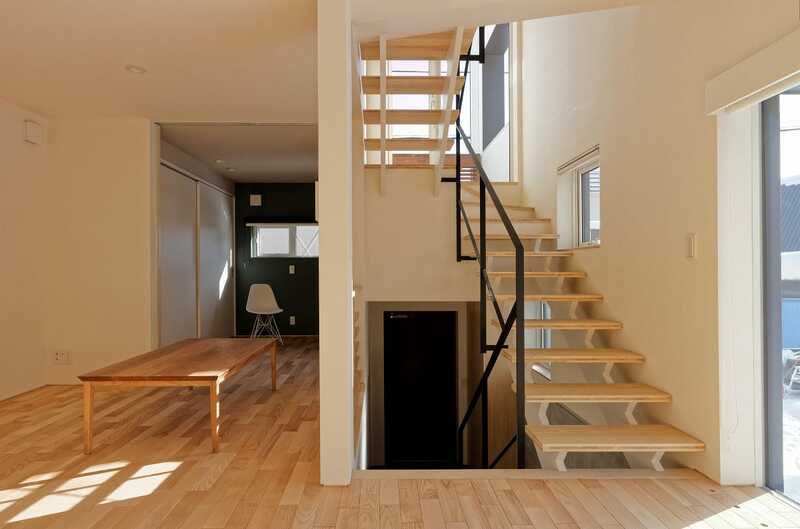 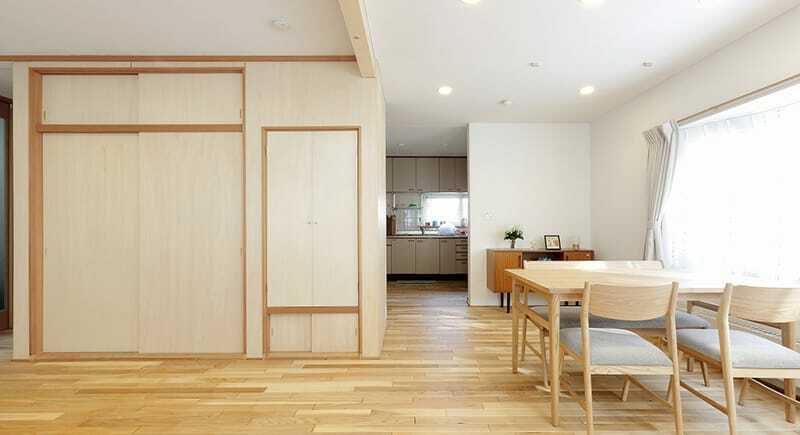 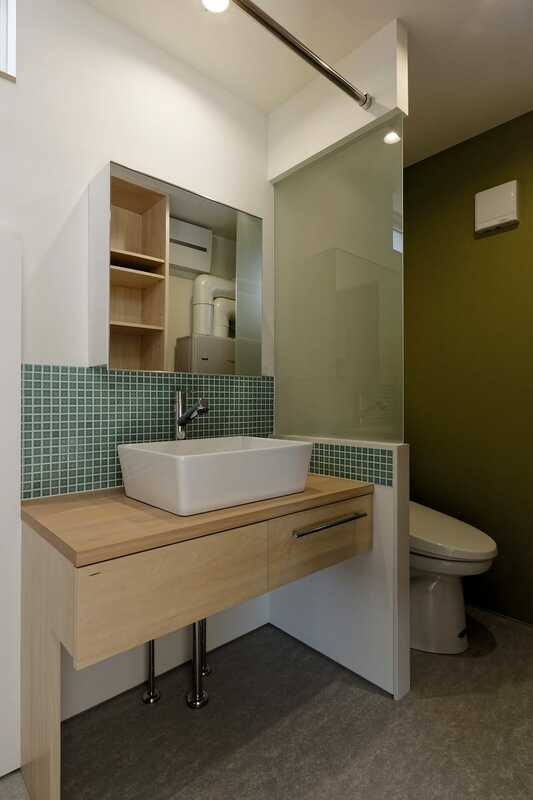 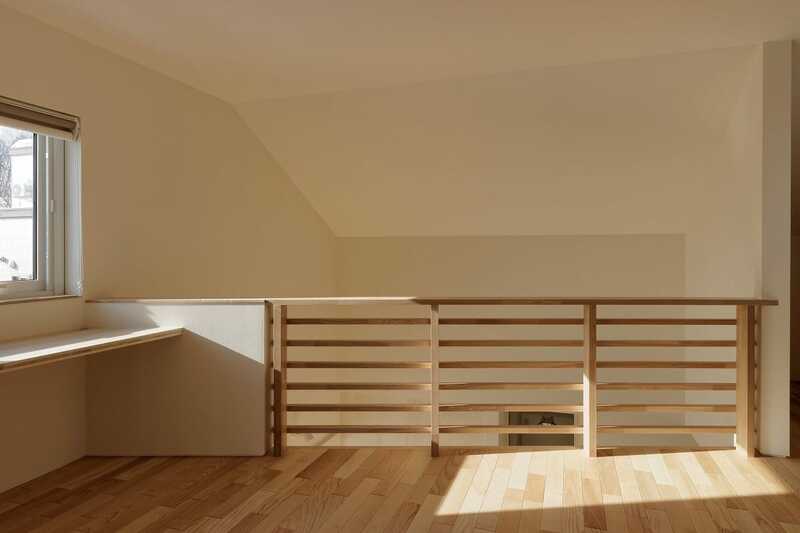 The lowest level, which also serves as the foundation, contains abundant closet space for the residents. 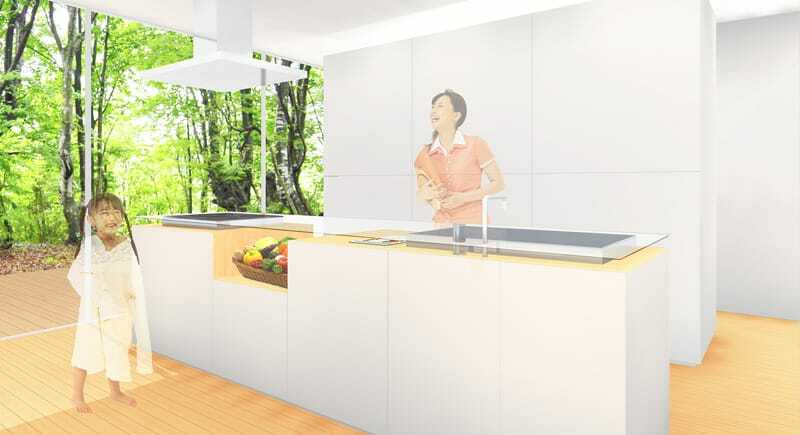 Large sliding glazed doors face the garden, allowing abundant natural light to enter the kitchen area. 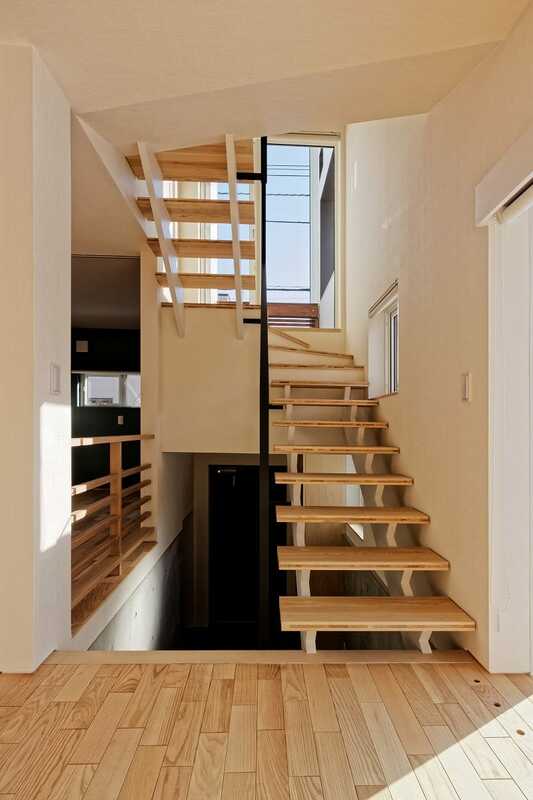 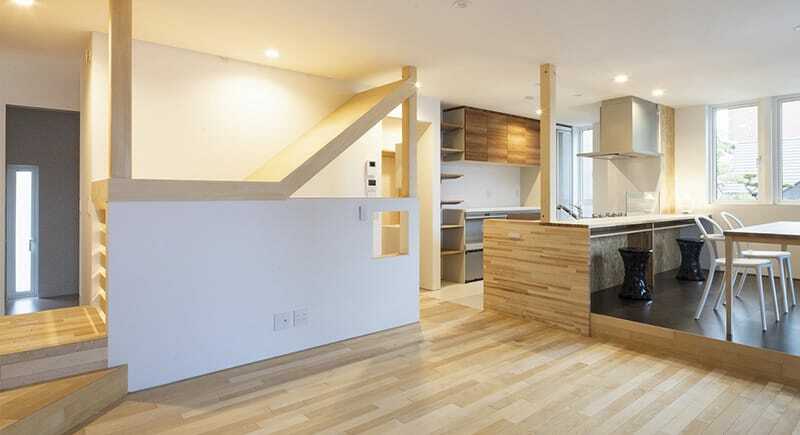 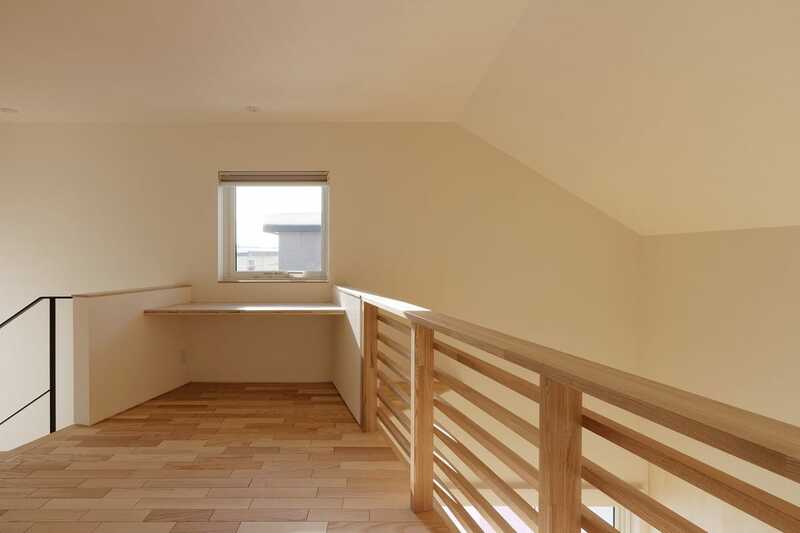 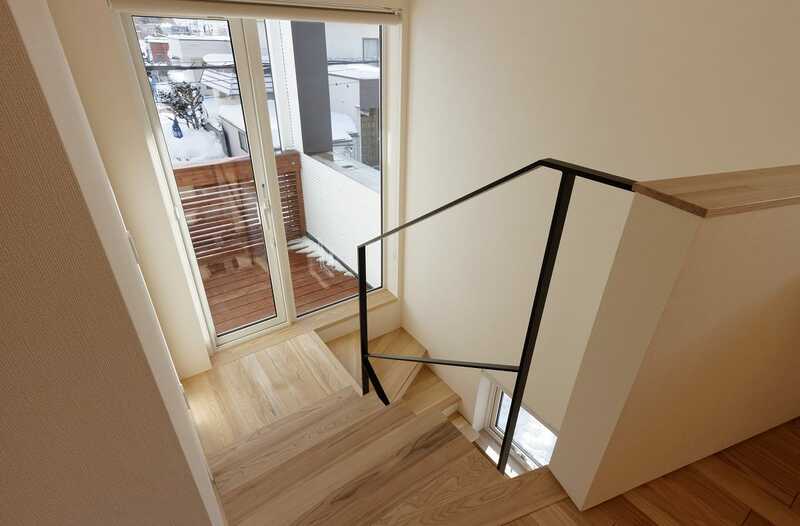 Has gained a comfortable life by some of the small staircase connecting the small space of the house. 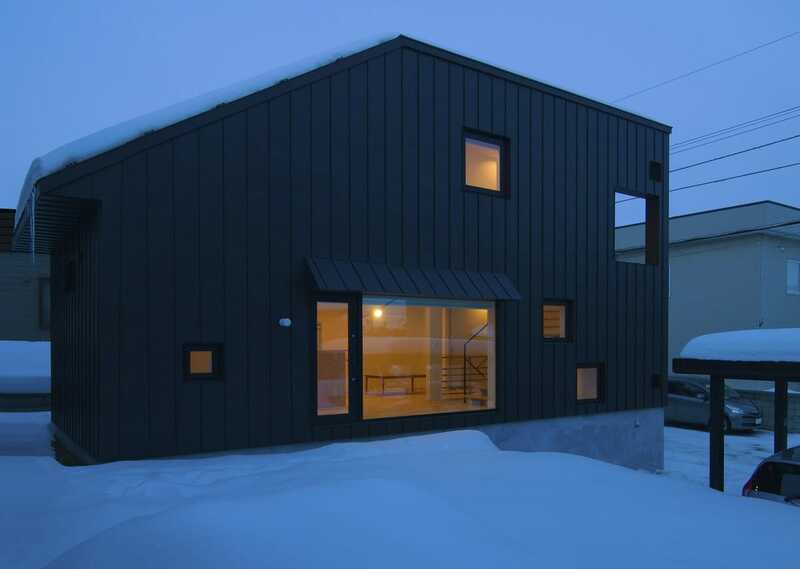 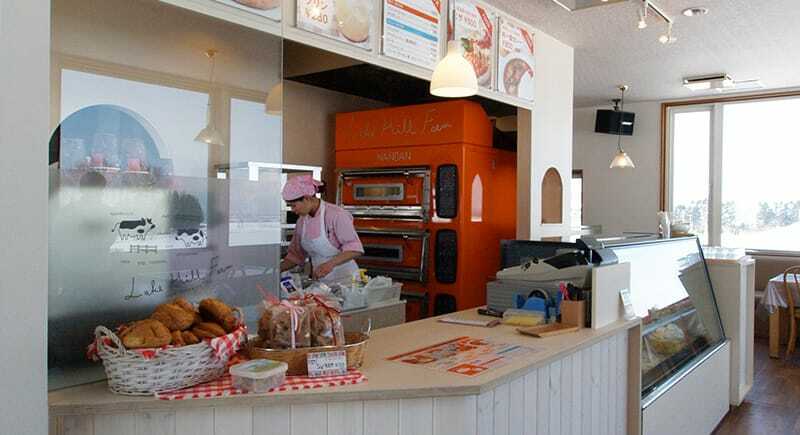 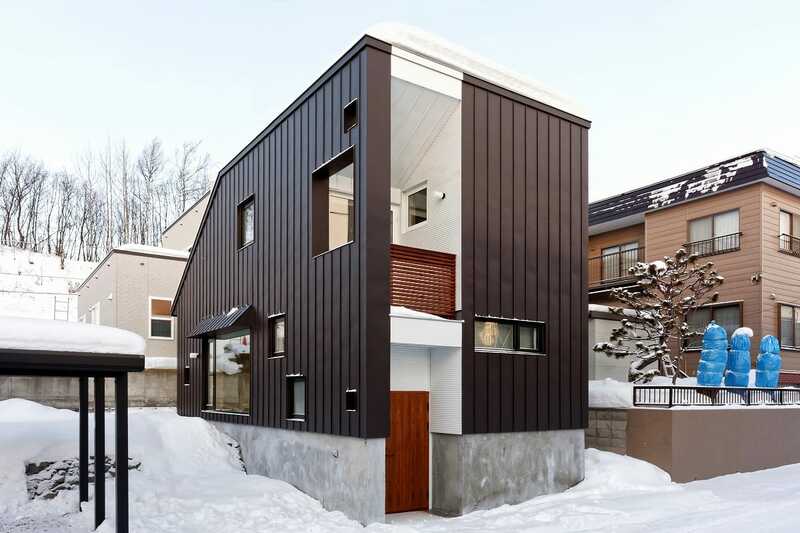 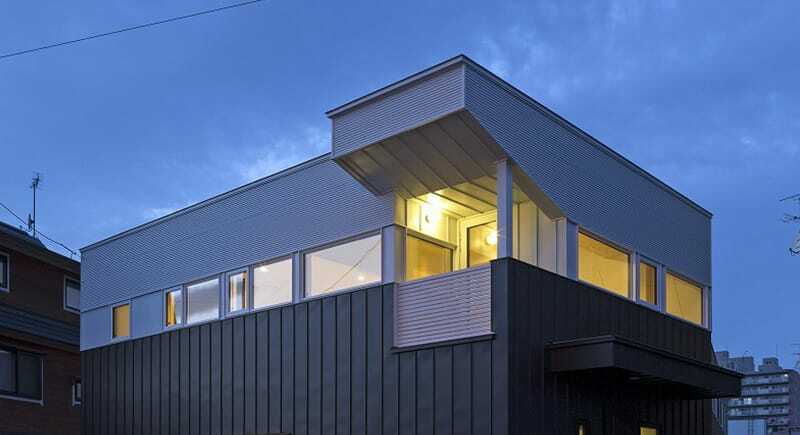 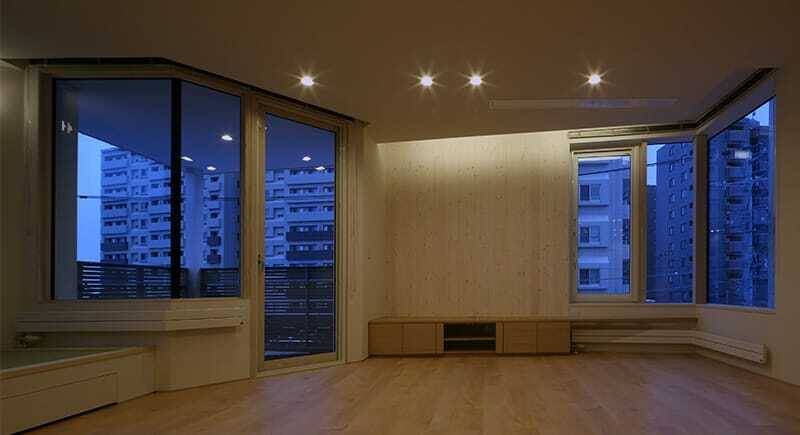 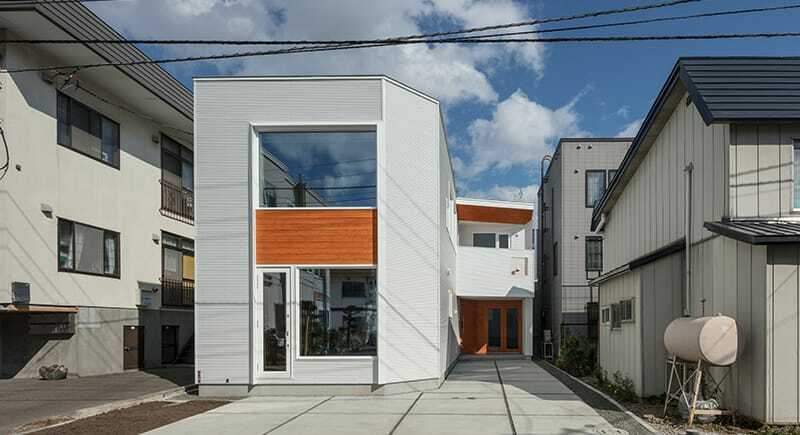 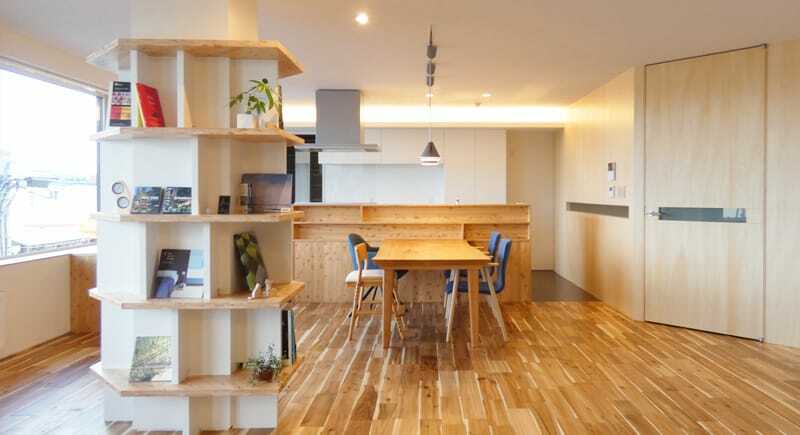 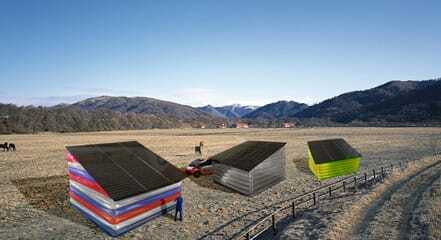 This building in the cold area is specialized in thermal insulation and air-tightness, it is designed to live a comfortable life of many years. 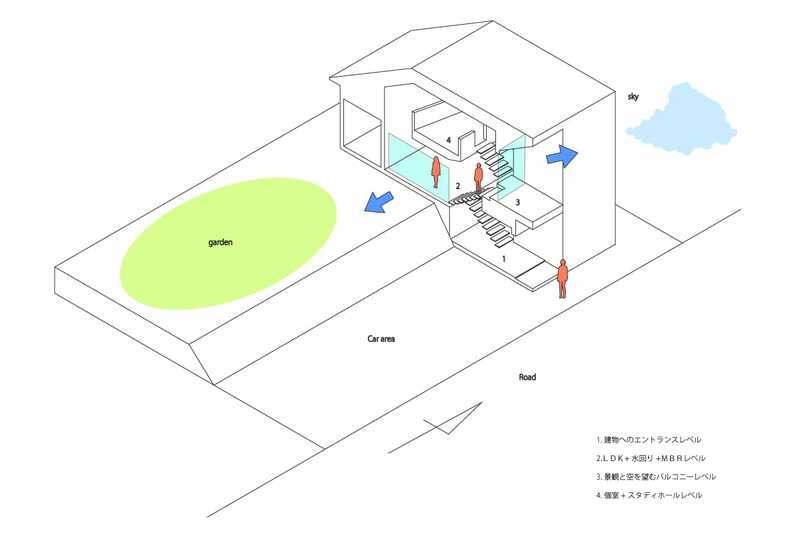 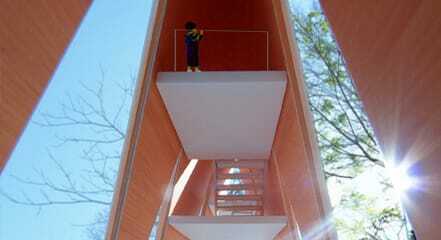 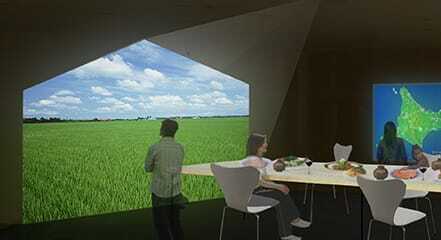 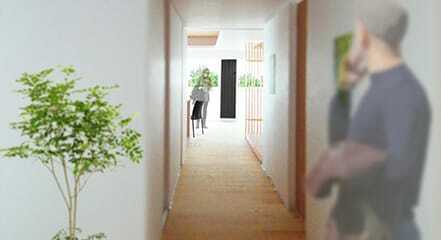 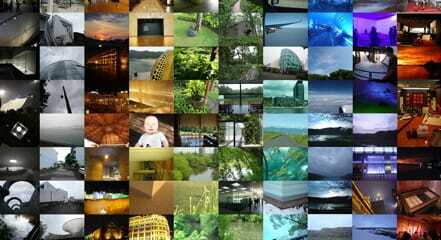 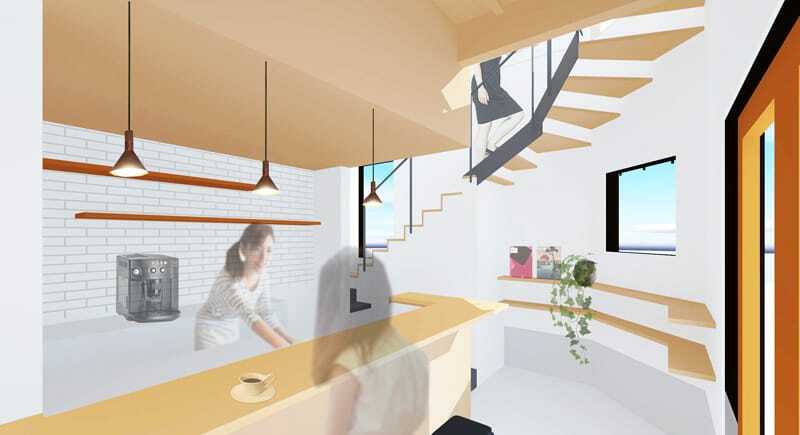 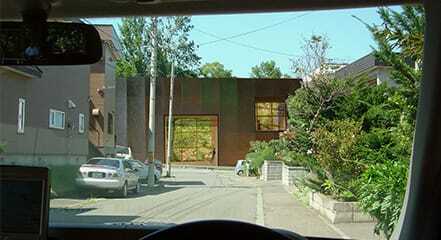 © Yosuke Tomiya Architectural Design All Right Reserved.